Here are 5 essential items you should have to be safe, comfortable and professional in your kitchen. One very mandatory piece of clothing to have is an apron, whether you are cooking or baking, it is important to have one. It protects your clothes from getting dirty and also protects whatever you're baking from getting contaminated by anything from your clothes as well. If you're baking professionally, it is good to get a professional, white or black kitchen apron for you and your staff members as well, if you have them. You can go to your local tailor to get the white aprons anywhere in Nairobi, they can range from Kshs. 100 to 200. You can also visit a uniform shop for the aprons, they are a bit pricier, but are of good quality and last longer e.g. Kshs. 200 - 600. You can also customize it according to your brand colors. 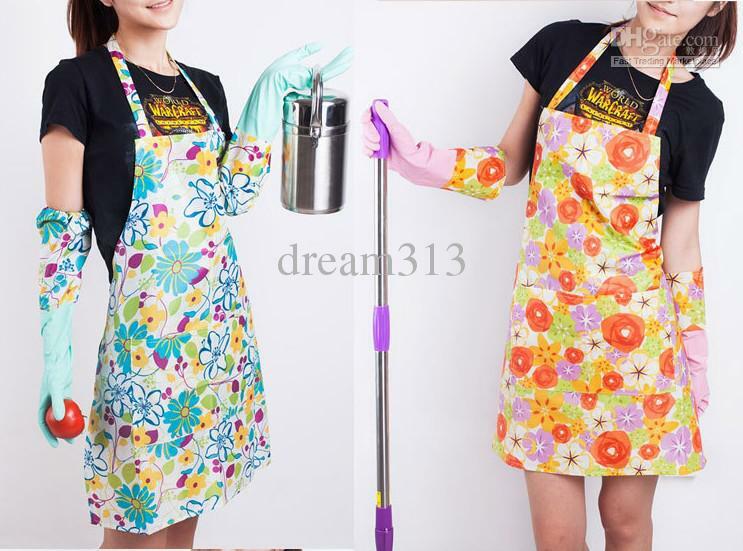 If you want a home-baking apron, you can get as creative as you want, as well as colorful! If you're baking at home, it is not necessary to get a dust coat. 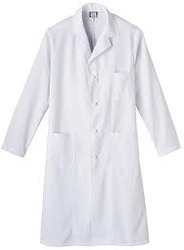 However, if you have a bakery shop, especially in Kenya, the health department strongly recommends your front service staff to have a white dust coat while serving customers. It is good to make sure you, and/or your service bakery staff have a white dust coat while working. Dust coats are also found at local tailor shops as well as uniform vendors/shops anywhere in Nairobi. They range from Kshs. 500 to 800. Another important clothing item in your bakery kitchen is head wear; you should have a chef/baker's hat to cover your hair in the kitchen. If you're a home baker, you can just get a hair net, or one of your hair bandannas or head scarves you use on your head to cover your hair. 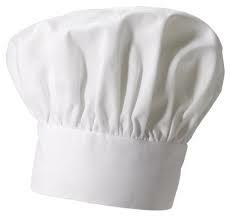 For a professional kitchen, get a baker's hat for a professional and uniform look for you and your crew. They can also be tailored locally for you or purchased from a uniform shop anywhere in Nairobi. They range from Kshs. 150 to 300. This is an essential item while baking especially for the baker's own safety. 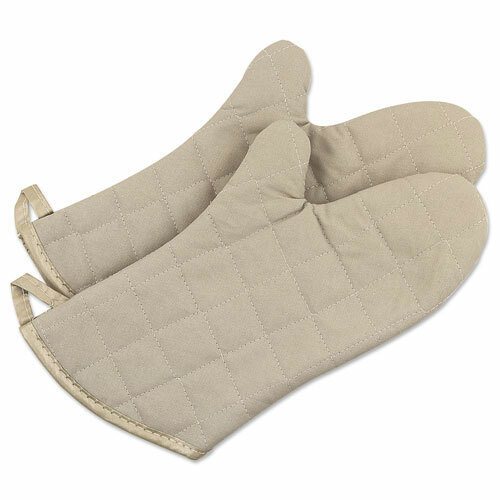 To avoid being burnt by the oven surface; while removing baked goods from the oven, use oven mitts for protection. Every baker's kitchen, home or commercial, should always have these. You can find oven mitts in Walibhai Karim for only Kshs. 400 a pair. You can also check major supermarkets like Nakumatt or Tuskys, they range from Kshs. 450 - 900. In any kitchen, whether you're cooking or baking, spills will occur. It is therefore necessary to have flat and if possible, grease proof shoes that will help you avoid any accidents in the kitchen. If you're baking at home, make sure you wear flat, closed and comfortable shoes. The same applies for a commercial kitchen, and if you can, get grease-proof shoes or rubber shoes to avoid slips in the kitchen. You can visit your local bata shop for their rubber shoes (Kshs. 299 - 800) or shop for grease-proof shoes in kitchen and bake-wear shops in the Nairobi CBD. We hope the above list has been helpful in preparation for your home-baking projects or business. Good luck and as usual, any comments or suggestions are welcome below. If you're interested in starting a small baking business; get our book "How to Startup a Small Baking Business Successfully". The printed book is 500/- and the E-book is 250/-. Click here to find out where the printed book is stocked and how to get the E-book. We also hold monthly Bakery Business Workshops on various topics. Click here to find out where the next one is and topics covered. When you work in a bakery, are you required to wear your hair up?